Waxing in Deptford, SE8 just five minutes away, get a silky smooth finish with limited redness in our Canada Water clinic. Our health & beauty clinic provides waxing, eyebrow & eyelash tinting, environ facials, aromatherapy, indian head massage, manual lymphatic drainage, reflexology, deep tissue, pregnancy & sports massage. We are only five minutes away from Deptford, SE8! Our waxing is ideal for Deptford, SE8 residents of this thriving London SE8 area. Just one minute walk from Outside Canada Water tube station. Get a silky smooth finish with limited redness in our Canada Water clinic. We use a high standard ALOE VERA hot waxing product to help prevent ingrown hairs yet stillGet 10% discount on your waxing (wax) treatment manage to remove the shortest most stubborn hair. Our strip waxing is a creme base wax keeping the skin moisturised, with antioxidant-rich green tea which soothes and calms. Here at bodytonic clinic it pays to have more! Our waxing combinations are set up so you can save time and money! 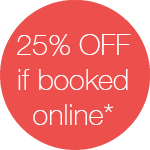 If you looking for waxing in Rotherhithe, Bermondsey, Canada Water, Deptford or Surrey Quays SE16 then book online or give us a call!